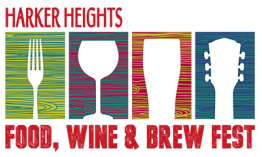 The 11th annual Harker Heights Food, Wine & Brew Festival returns with all your favorite wines, craft brews and events, September 14, 2019. Last year’s event included wines from 12 Texas vineyards and 65 Texas craft brews, this year the event expects to surpass those numbers. Join in for a special event with delectable food, wine, craft brew and enjoy live musical entertainment; it is sure to be the event of the year.